Undergraduate Degree: Why choose Business? The UCAS deadline for new undergraduates is fast approaching! We’ve met many of you already on our Open Days and are hoping to meet many more of you on our Applicant Days and welcoming you to KBS as a student in September 2017. For those of you still on the fence about studying business or studying at Kent Business School, read KBS Head of Undergraduate Recruitment & Admissions Steve Robinson’s easy-to-read guide on why you should choose to study business. I am often asked this question by potential applicants, parents and visitors. More frequently at this time of year when Year 13 pupils are looking to fill-in their UCAS forms over half-term and frantically trying to fit-in time for Open Day visits. It’s a good question. I am a firm believer in choosing a degree based upon your own passions and aspirations, whether that be business-related or otherwise. Many students will be guided by the subjects they have previously taken and enjoyed in their GCSEs or A-levels. This is a good starting point but from Architecture to Zoology universities offer a much wider choice than that. Advice from parents and sixth-form counsellors is crucial, as well as any inspiration that can be taken from work experience. Nevertheless when I quiz students they often reply with the classic refrain; “I don’t know what I want to do,” as if I may have the answer for them. In fact I do. Studying a business-related degree is the perfect choice for students who not only have a passion for business and commerce but for those who are more undecided and unsure as to what to study at university. Studying a business-related degree offers an interesting, diverse and dynamic range of subjects that leads to a broad range of careers. The first key question to answer is whether you wish to take a more general business degree such as International Business or Management (these are very popular and not only offer an all-round business education but will sometimes focus on a particular specialisation or ‘pathway’); or something more specialised straight away such as Accounting & Finance or Marketing. Here at Kent Business School we are always happy to help with guidance or advice you may need. Speaking of advice, in the first instance all applicants need to focus on the type and detail of the particular course they wish to study and search the relevant institutions offering such courses through the UCAS portal. Make some Open Day visits or Applicant Day visits to get a ‘feel’ for the places you are interested in. Beware! What you see on a university webpage and in their marketing literature can often be somewhat removed from what you will experience in an actual visit to a campus or building. Be sure to have a good look around and question the academic staff and existing students on the course details and the realities of student life. Why choose Kent Business School? As a top 20 UK business school, Kent Business School (KBS) has over 25 years’ experience delivering first-rate business degrees at a top 20 UK university. Beyond academic excellence, our focus is to enhance the employability of our students through dedicated careers support, placement schemes and connections to industry. We offer a broad range of undergraduate programmes at both our Canterbury and Medway campuses. These include Accounting & Finance, International Business, Management and Marketing as well as a number of joint honours programmes. These programmes are designed to broaden your career prospects and prepare you for business success. There is not a typical KBS graduate as our alumni enter careers in both the public and private sectors; large firms and SMEs as well as starting their own businesses. All our programmes come with the availability of a Year in Industry work placement and we are widely respected by organisations, professional bodies and employers from around the globe. Our students come from a wide-variety of academic and cultural backgrounds from both the UK and overseas and our strong pastoral support system ensures that all students are given the help and advice they need throughout their studies. We recognise most qualifications that appear on the UCAS tariff and many of our students have taken either A levels, IBs or BTECs. We will always look at each and every application on its own merits and take particular care with our selection and offer. At the moment we are typically looking for around ABB/BBB at A level or DDM from a BTEC extended diploma in business, or an equivalent mix. In addition all applicants need English & Maths GCSE. In short my main advice for any business school applicant is to read the degree content carefully to be sure you are picking the programme best suited to your interests and needs. Then make a few visits to help you in your final selection. Remember that you do not have to have previously studied business to embark on a business related degree. Good luck! Many thanks to Steve for sharing his advice. 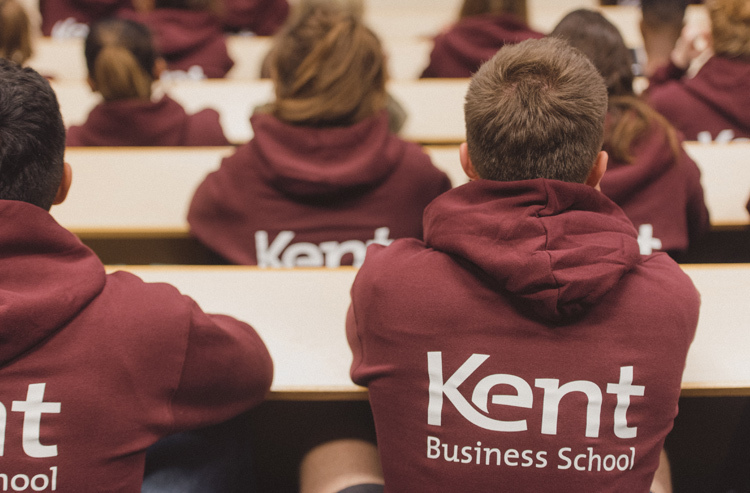 If you think you might like to apply to Kent Business School at the University of Kent, take a look at Kent Business School’s Undergraduate Programmes. 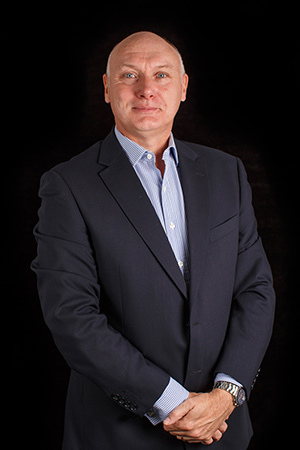 I am Head of Undergraduate Recruitment & Admissions and lecture and teach upon the European Business and International Business modules on the undergraduate, postgraduate and executive programmes at Kent Business School. As well as being an academic programme developer, I also act as a reviewer for a number of academic textbook publishers. My main lecturing interests include the European business environment, European business cultures and the impact of EU policies on business strategy and operations. View Steve Robinson’s KBS staff profile. View Steve Robinson on LinkedIn.